All of Southern California's signature attractions are just outside your door at the Peacock Suites resort. Find timeshare resale and rental postings currently available at discounts of up to 70% with SellMyTimeshareNow.com. What’s My Peacock Suites Timeshare Worth? Named for the famous bird that dazzles the world with its flashy appearance and one-of-a-kind charm, the Peacock Suites in Anaheim are no different. This luxury resort puts you in the perfect spot to discover the Greater Los Angeles area as well as all of Southern California. With an incomparable proximity to attractions like Disneyland, the resort offers the ideal jumping-off point to create the best SoCal getaway year after year. 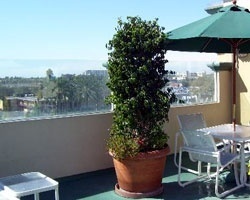 Regardless of what you plan on doing on your California getaway, nothing says vacation quite like the Peacock Suites, Anaheim, CA! You'll find impeccable one, two, and three bedroom suites at the resort, all of which are up-to-date and well-appointed. Common in-unit amenities range from kitchenettes to dining and living areas, all of which are guaranteed to make you feel right at home. With enough room for parties of four to eight guests, the Peacock Suites are perfect for families and groups looking to soak up the sun in one of Southern California's most popular areas. If you're interested in acquiring great accommodations each year in California, the timeshare resale and rental advertisements at the Peacock Suites offer an opportunity to do that while potentially saving you thousands. Fill out the form on this page to learn more about becoming a timeshare owner at the resort, or call a representative directly at 1-877-815-4227. When you purchase a timeshare resale at the Peacock Suites, you're not only unlocking years of great accommodations in Anaheim—you're doing it more affordably than most. Timeshare resales at the resort don't just guarantee years of vacations in California, they carry the opportunity to save big. Since resales are listed for-sale-by-owner, they are often priced much lower than what the resort offers. Prices for Peacock Suites timeshare resales can sometimes be up to 70% lower than retail value, offering you the deal of a lifetime. Resales at the Peacock Suites often come in the form of deeded or floating weeks, which gives you a variety of different ownership styles to choose from. Additionally, with weeks spanning the length of the calendar, you'll be able to find a unit at a price point that fits your budget and vacation preference. A Peacock Suites resale can also give you easier access to its affiliated ownership club, Shell Vacations Club. The Peacock Suites Anaheim are affiliated with Shell Vacations Club, part of the Wyndham family of brands. As such, timeshare resale buyers at the Peacock Suites have the opportunity to upgrade into the Shell Owners Club to unlock more vacation benefits. Upgrading can transform your weekly ownership into a SVC points, which will allow for easier reservations. Other SVC benefits include exchanges with other Shell resorts, access to SVC Premium Perks, and more. The Peacock Suites resort is also affiliated with the timeshare exchange giant Interval International. 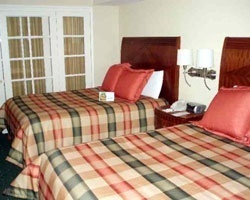 If you choose to purchase a separate Interval International membership, you'll be able to exchange your timeshare accommodations at the Peacock Suites for stays at other resorts all over the world. What's more, the resort has earned the Select Resort rating from Interval, due to its above average accommodations and amenities. This positive rating could prove to heighten your trading power when exchanging, which could provide more vacation opportunities. The Shell Vacations Club at Peacock Suites resort offers a wide range of amenities and services that will vastly improve and enhance your California vacation. On the resort's grounds, guests will find a heated outdoor swimming pool complete with a hot tub for days of lounging and taking in the desert sun. You can also find the resort's rooftop deck to be the perfect place to tan or simply absorb the views of the city around you. Families will undoubtedly enjoy the shuttle service to Disneyland from the resort's front desk, which will provide seamless transportation solutions. 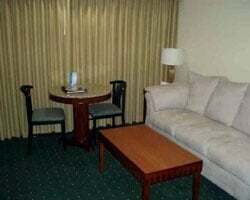 Other services, like the free WiFi, coin-op laundry, and fitness center, contain everything you need to enjoy a comfortable and relaxed vacation. 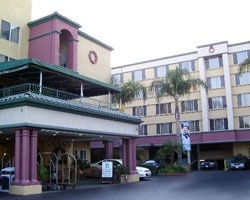 Located in Anaheim, you'll have all of the best attractions in Greater Los Angeles nearby. Disneyland is located right in Anaheim and is easily accessed from the Peacock Suites, but other area attractions like Legoland offer great day trip potential. Head north into Los Angeles to discover the Hollywood Walk of Fame, Universal Studios Hollywood, Griffith Observatory, and much more. Already Own at Peacock Suites?